If your business is to send out email communications it is important to monitor and measure how those emails are performing. You invest a lot of time in monitoring how many emails you send, split testing, open rates, click through rates and more, but what happens when users are unable to see your message. Perhaps you wake up one day and suddenly your messages are no longer delivering to the inbox but instead you are now hitting the users spam/junk folder. This is going to take a huge toll on your revenue. In order to help educate you on how messages get sent to spam folders, you can take steps to prevent this from happening. How do emails get to the spam folder? Have you ever wondered how your email provider chooses to push emails into the junk folder without you requesting the email to go into the spam folder? Well much of that depends on users. Major email providers such as Gmail monitor feedback from their users, and if a particular email gets marked by a certain percentage of its users as spam they will apply a global rule where all mails from that particular sender will be pushed to the spam folder. This is a common reason why many email marketing senders will try to ask you to whitelist them. When you whitelist a sender you are essentially telling your email provider that the emails from this sender are something you are certainly interested in. Once Gmail reaches the threshold to apply the global rule they are also adding intelligence to their system to start looking for similar emails from other senders. One way to help avoid this is to make sure you are sending to users who are generally interested in what you have to offer. Possibly you acquired a list of data from a third party, and you decide to mail on that data blindly%u2026 this may not be a good idea. Before you send such an email you should always cleanse your data to make sure the accounts are in existence. The best thing you can do is partner up with a good email cleansing source such as XVerify which can also use unique methods to identify users who frequently report email campaigns as spam. Not only do emails get an automatic push to the spam folder by having users report emails as spam, but it is also dependent upon the content that is inside of the email that you are sending. There are also common keywords that can flag emails as suspicious and get them immediately pushed into the spam folder. So next time you start to plot your next email campaign make sure you avoid keywords such as “risk free”, “sales”, “profits”, “100% satisfied”, etc. . If you are interested in learning more about keywords that are spam triggers check out a long list that can be found http://blog.mannixmarketing.com/2009/08/spam-trigger-words/. It’s also not a good practice to think you can get around that and attempt to place some of those keywords inside of a graphic image. Email services such as Gmail, is already a step ahead and uses optical character recognition (OCR) to prevent spam words being used in images as well. What could be worse than going to spam? Not getting your email delivered at all, and this is commonly what happens in the event that you start sending emails to spam traps. Spam traps are also known as honey pots and believe it or not there are several different kinds on the web. Basically, a spam trap is a way for the email service providers (ESPs) to determine who is sending spam. They are able to identify this by having email IDs that are not registered by users so they know those accounts should never receive emails because no one has opted in for any mails. If the trap email accounts start receiving emails it sends a red flag to the ESP where they can immediately blacklist that sending server. If it is important to you to maintain a good delivery, then you should always mail to an opted in list and try to avoid list buying at all costs. However if you have data you are not sure about or you are paying for traffic to your website I would highly suggest you verify and clean your data at point of entry before it contaminates your data base. XVerify offers a real time data verification solution which will help identify some of these spam traps to enable you to continue to have clean delivery. 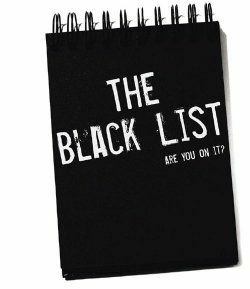 How do you know if you are currently blacklisted? You can check some sites such as www.mxtoolbox.com/blacklists.aspx which is a free service you will just need to enter the IP addresses that you send mails from to do an accurate look up. You can also check out www.dnsstuff.com which is does a look up of about 97 various blacklists. One of the most popular blacklists is SPAMHaus.org. SPAMHaus has created a monitoring network which hosts millions of spam trap email addresses. What do you do to get removed from a blacklist? Some of the common steps you can take are to first identify if you are actually on the blacklist or if the emails are just getting filtered to the junk folder. Testing is the best way to do this, you will send your email campaigns out and then look to see which domain is not getting them. Once you have confirmed you are on a black list the first thing you should do is make sure your server is not sending any unauthorized emails. To help identify this, check the amount of volume you are emailing, try to identify compromised accounts, check for emails that send to one account and then forward to another account. For a better reference to learn how you can remove yourself from various blacklists (yahoo,gmail,msn, etc.) check out http://www.rackaid.com/resources/gmail-blacklist-removal/. The best practice is to send to a safe list, and use a double opt in method to ensure the user is going to want your emails. Use these methods in conjunction with a real time data verification service such as XVerify to ensure the email addresses you are receiving at point of entry are both legitimate accounts, and not temporary email IDs, spam traps or some other kind of high risk account. Even if you are only capturing your data in real time and not buying lists you still run the risk of acquiring bogus data.